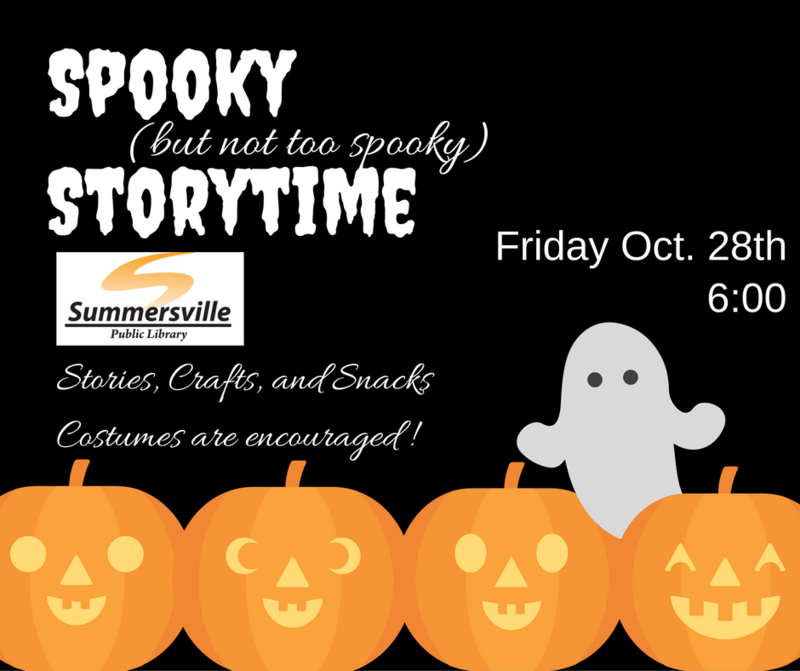 Spooky (but not too spooky) stories, Bridge Building, New Books, Facebook for Business, and so much more. The weather is changing (slowly) but thoughts of warm blankets and cozy drinks with great books aren't far behind. Check out these great titles hitting the shelves this month. Don't start hibernating yet! We have some great programs (for all ages) coming up in October and November. Scroll to the end to see them all. The Nicholas County Animal Shelter and the Humane Society of the United States will be presenting a program on Animal Welfare. Want to learn more about animal protection? Be sure to register for the upcoming event on Tuesday October 11th, 6pm. At this event, the WV state director for The #HSUS will present on important topics including Animal Abandonment, Tethering and Proper Reporting of Animal Cruelty. Valuable information on spotting equine cruelty will also be available courtesy of Heart of Phoenix Equine Rescue, INC.
Have you heard about our new grant award? The Summersville Public Library was selected to be a part of a new program called Pushing the Limits. It's focus is to encourage informal science discussion in libraries. Four events will be held between November 2016 and April 2017 focusing on themes of nature, survival, knowledge and connections. Check out our webpage for more info. The first book we will discuss is T.C. Boyle's When the Killings Done. If you would like a copy to read before the November 15th event please call 304-872-0844. It is not required to have read the book to attend. Do you have business? Large or small, managing your online presence through social media can seem daunting at first. The New River Gorge Regional Development Authority is here to help! They will be offering a workshop on November 3rd from 11-1 at the Summersville Public Library called Facebook for Business. Lunch is included. Visit their facebook page to register or call 304-254-8115. 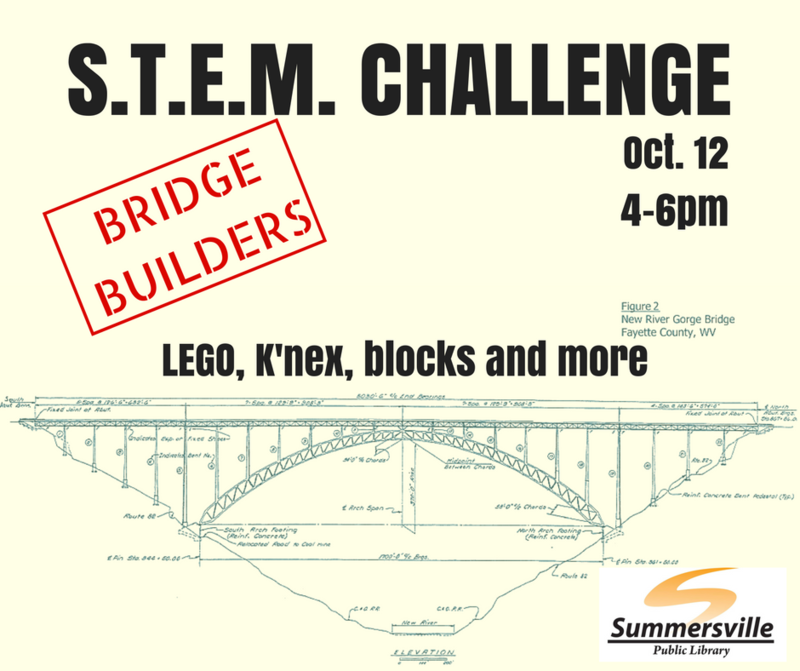 In honor of Bridge Day, LEGO club is making room for some new building materials this month! 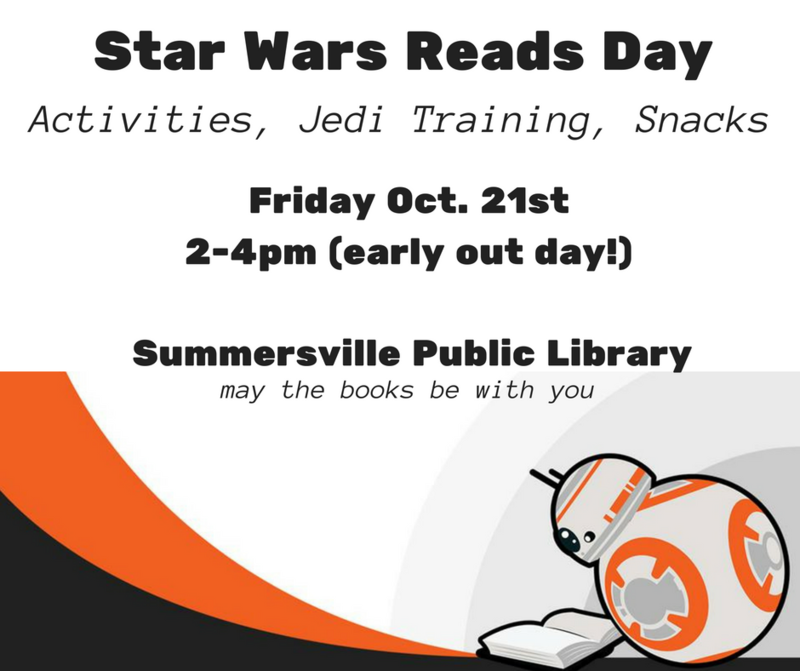 Celebrate your favorite Star Wars books, movies, and characters with this fun event for all ages.